From the airport, follow the directions to Mykonos town, then turn right at the roundabout and follow directions to Ornos. The main entrance to the hotel's premises will be on the right-hand side. From the port, follow the main peripheral road to Ornos beach, passing 2 roundabouts. The main entrance to the hotel's premises will be on the right-hand side. A shuttle bus service from the airport or port is available upon request. 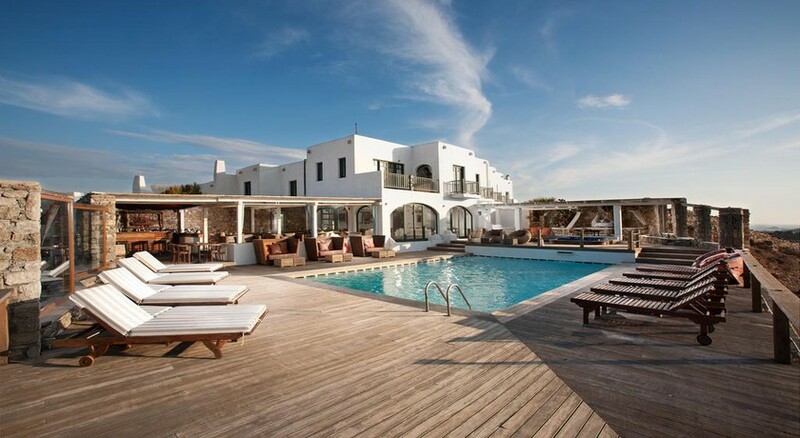 The Tharroe of Mykonos Hotel is a brilliant blend of traditional Mykonian architecture with sophisticated luxury influences and modern facilities. 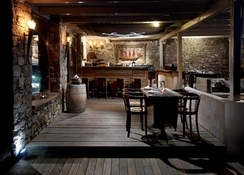 Its unique location very close to the town centre makes Tharroe of Mykonos a cool heaven of relaxation in one of Greece most vibrant islands. 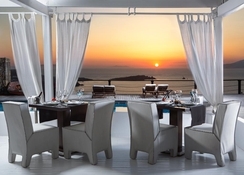 Positioned on the top of a small hill, offering panoramic view of the Aegean Sea and breathtaking sunsets, the Tharroe of Mykonos Hotel is only 900 meters from town center. Following the traditional Mykonian architectural style, this hotel presents a wonderful mix of multi-cultured elements, with sophisticated luxury and modern facilities. Inspired by the romance of the Aegean Sea, it combines art with luxury and extravagance with pure simplicity. Renovated in 2010, the air-conditioned establishment offers 26 rooms in total and welcomes guests in a lobby with 24-hour reception and check-out services, and a hotel safe. Younger guests may let off steam in the children's playground. There is also a hairdressing salon, cafï¿½, bar and restaurant on-site. Guests may take advantage of the conference facilities, Internet access, room and laundry services, and a hotel car park.